Discussion in 'Effects, Pedals, Strings & Things' started by jguitarslim, May 4, 2016. 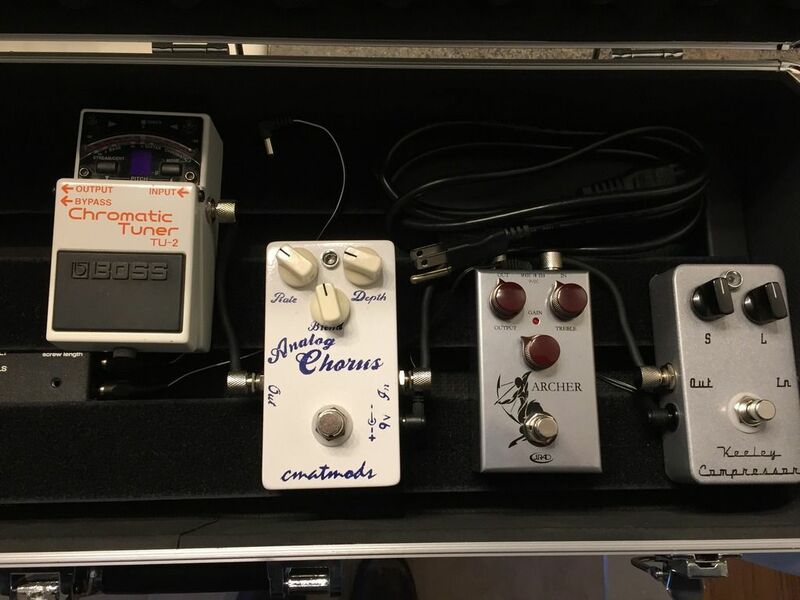 Singer who doesn't play guitar has TC Helicon harmonizer he wants me to play through. Would require me to either run extra cord straight from my guitar to it then back to my pedalboard OR considering purchasing quality ABY box (i.e. Twin City) to place first in chain which would always be in ABY mode. Which option think is best to maintain tone? What's your signal chain? If you have a 2nd output available, like the other output on the Boss TU-2 tuner, you could send it and not worry about it having to come back. And it's buffered so no tone loss. If you don't have an extra out and you got an ABY, you'd want a buffered one or to have it after a buffer. Thanks for reply...I do actually have a TU-2. Could throw it first in chain. Would you just run cord out of "bypass" output to harmonizer?